All the beauties of Kazakhstan in one reserve. 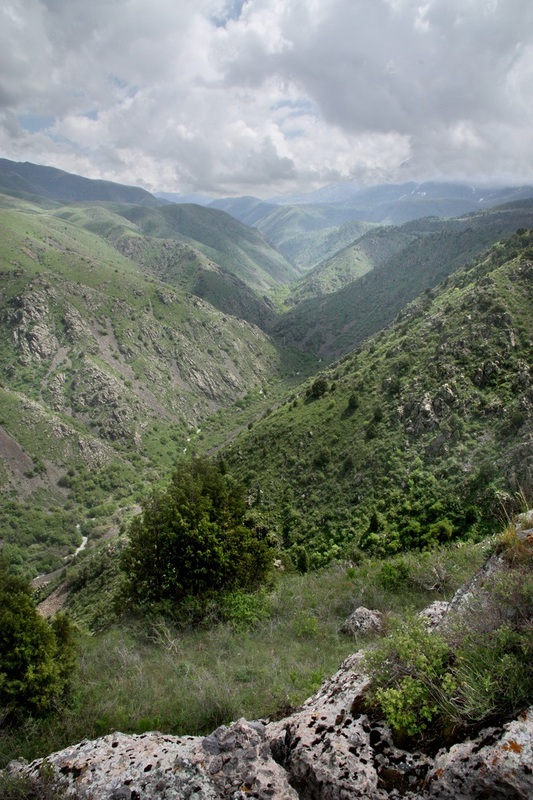 Aksu-Zhabagly nature reserve – is the oldest and most famous nature reserve in Central Asia. Year of the establishment is 1926. Its aim was to preserve endangered wild animals and abundant flora and fauna of the reserve. The nature reserve is located in the spurs of the Western Tien Shan at an altitude of 1000 to 4280 meters above sea level. In 2016 the nature reserve was included in the UNESCO list of the World Biosphere Reserves. The highest peak is Sairam Peak, its height is 4238 meters. 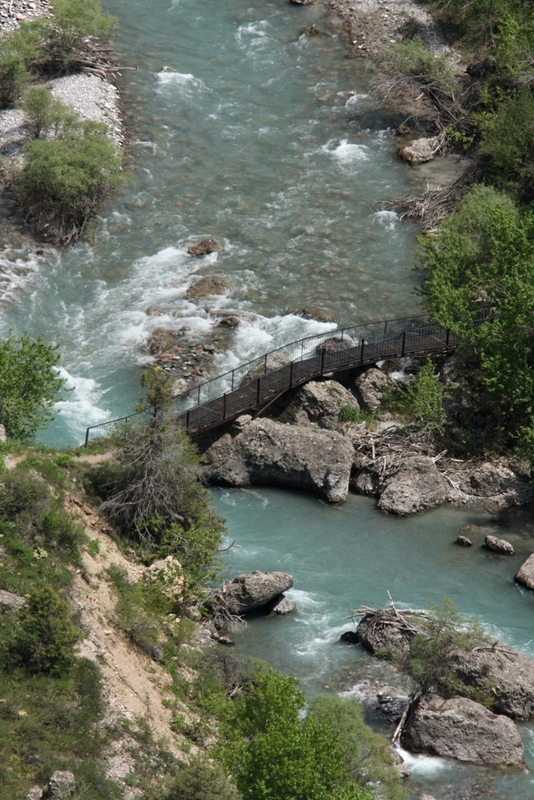 The name Aksu-Zhabagly contains names of two main rivers Aksu and Zhabagly. These rivers flow through the reserve. Aksu is the longest river, covering 120 kilometers. In the spring the Aksu River is blue. However, in the summer months, it turns to a color of milk. Hence, its name comes – Ak – meaning “white” and Su meaning “water”. 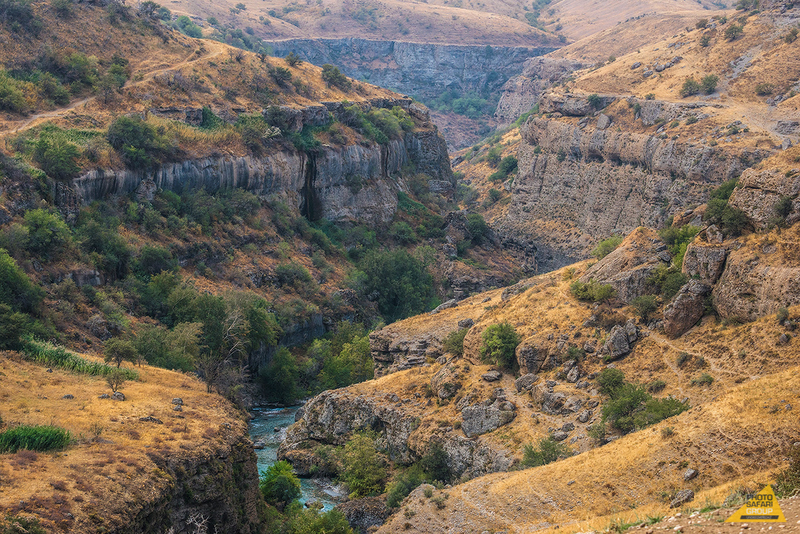 Aksu canyon, carved by the mighty Aksu river, is one the deepest canyons in Central Asia. The depth of canyon fluctuates from 300m to 500 meters, the length is 30 km. At an altitude of 3200 meters above sea level, there is another landmark of the reserve, the Kaskabulak mountain. The mountain is decorated with petroglyphs. There are paintings of wild and domestic animals, scenes of hunting and the life of ancient people on the wall. Aksu-Zhabagly is the richest treasure of rare endangered and endemic species of animals. Also, there are about 173 species of vegetation grow plants. In addition, about 60 species of mammals live in the reserve territory. Namely, rare species of animals as argali, mountain goat, maral, stone marten, and muskrat. A large number of birds live here. There are 11 species of birds such as Golden eagle and Harrier Eagle also 11 species of reptiles live in the reserve. One of them is the legless Yellow-Legless Lizard is listed in the Red Book. The emblem of the reserve is the tulip Greig, whose petals of a rare crimson color reach a length of 15 cm. from Almaty boarding on an evening train that will arrive at Tyulkubas station located 20 km from the Aksu-Zhabagly nature reserve. Early in the morning at 8:00 am our Guide will pick you up from Shymkent (or Tyulkubas station) and drive to Aksu-Zhabagly nature reserve. After 1,5 hours you will arrive to Aksu-Zhabagly nature reserve from where you will start our trekking in Kshi-Kayindy gorge. Landscapes of Kishi-Kayindy gorge are beautiful, the path that you are going to walk, partly goes through juniper forest, whereas the other side of the gorge is represented with more rocky slopes. The whole route in one direction is about 7 km one way, but because of the amazing landscapes, you will not notice the whole distance traveled. At the end of the trekking route we will reach Kishi-Kayindy waterfall where we will have a picnic with beforehand prepared lunch boxes. In May, mountain goats descend to the waterfall to give birth to offspring. Steep descent reliably protects the cubs from predators. During this period, tourists are not allowed here. In the morning after breakfast, our guide will drive to Aksu canyon. We will be driving out to see one of the deepest canyon in Central Asia. Fissure creates an unforgettable impression. This area is interesting for observing predatory birds: the golden eagle, the snake-eagle, the eagle-dwarf, the mound, the vulture, the sip, the griffon, the bearded man, the kestrel and others. Walking tour along the path of the northern slope of the canyon (right bank, southern exposition) from the cordon Aksu to the bridge on the Aksu river. 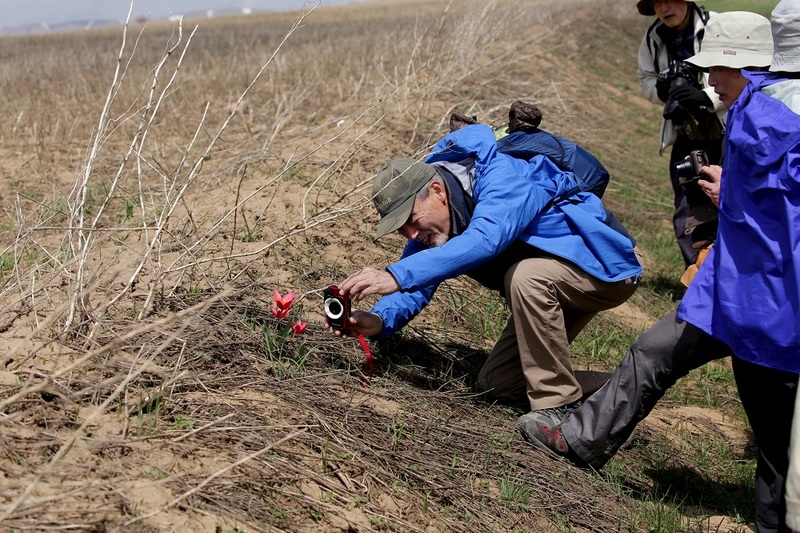 In the spring, on the way to the canyon, you can meet a lot of interesting plants, and in the canyon you can see the Tulips Greig and Tulips Kaufmanniana, the fields of flowering of the Eremurus lactiflorus, the original bows and other herbaceous plants. You can not go down into canyon, but stroll along its edge, and the canyon opens in a new interesting perspective. 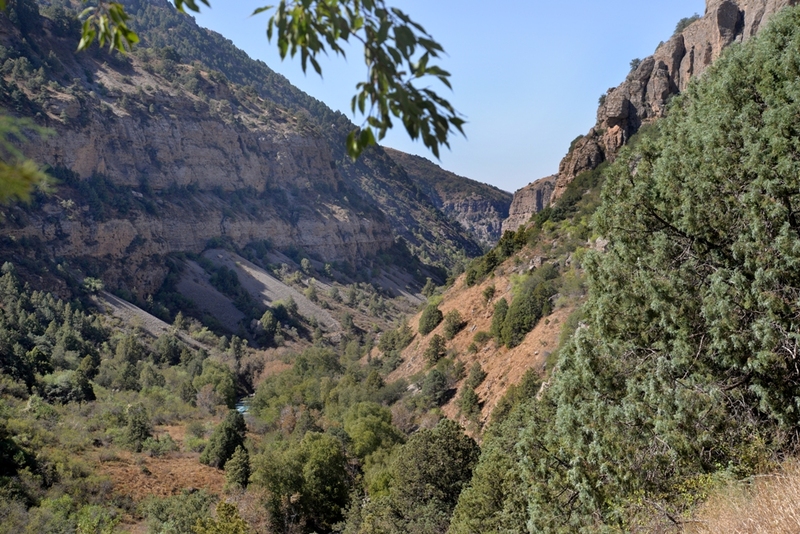 You can do about half way along the canyon along the path that descends to the upper terrace of the canyon, and then again rises to its upper edge. You can walk about 5 km along the middle terrace up the canyon and go back down the top edge, or vice versa.